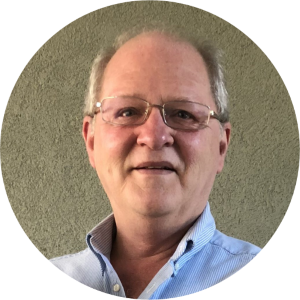 I’m Michael Tyler and for more than 8 years I have been creating Vectric’s Free monthly projects. I’ve made everything from spring wreaths and mantle clocks, to snow sledges and cheeseboards. Did you know there are already more than 80 projects free for Vectric customers to take advantage of and we’re working on more every month? Each zipped project includes the files relating to the project as well as a comprehensive PDF guide that covers all the key steps help you complete your project - including tips on materials, tooling and finishes. Since 2018 free projects also come with their own video that tells the story of the project from start to finish. This month Michael Tyler has created a Vectric classic - The Wooden Chain, a sure fire way to get people talking at social gatherings. 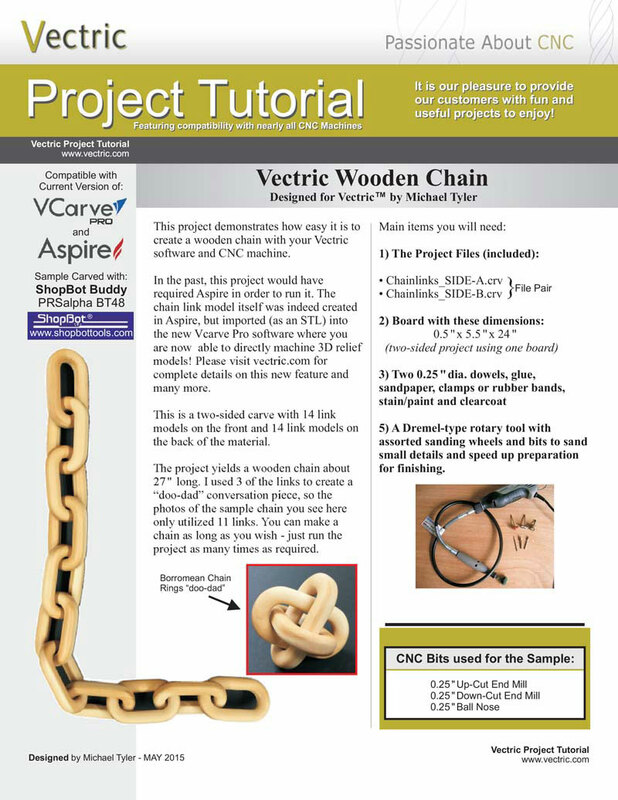 This project demonstrates how easy it is to create a wooden chain with your Vectric software and CNC machine. In the past, this project would have required Aspire in order to run it. The chain link model itself was indeed created in Aspire, but imported (as an STL) into the new VCarve Pro software where you are now able to directly machine 3D relief models! This project uses two sided carving and created a 14 link chain (the photo of the chain only uses 11 links - you are able to create a chain as long as you wish). The finished dimensions of this project are approximately 27" in length (using all 14 links). This project is suitable for Aspire V8 and VCarve Pro V8 users. If you go ahead and create this project, then it would be great to see a photo of your finished piece over on the Vectric Forum. Alternatively feel free to email us a picture of your finished piece at online@vectric.com. which Vectric software do i need to be able to open the free project files?